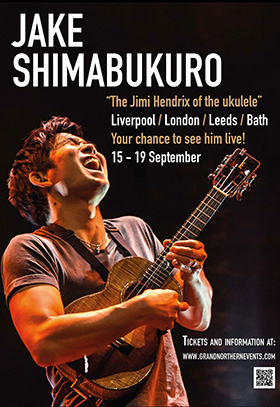 Quoted by many as the best ukulele player in the world, is Jake Shimabukuro. Just look up any of his stuff on YouTube, "While My Guitar Gently Weeps" or "Bohemian Rhapsody" (see below), you'll be amazed at his interpretations in just four strings. How he does it, I don't know. Meanwhile, he's coming to the UK in September - check out the events calendar, or visit this link to find out more.